Unknown thugs has attacked the family quarters of the Senate President, Bukola Saraki in Kwara state today after same occurrence took place last Thursday. 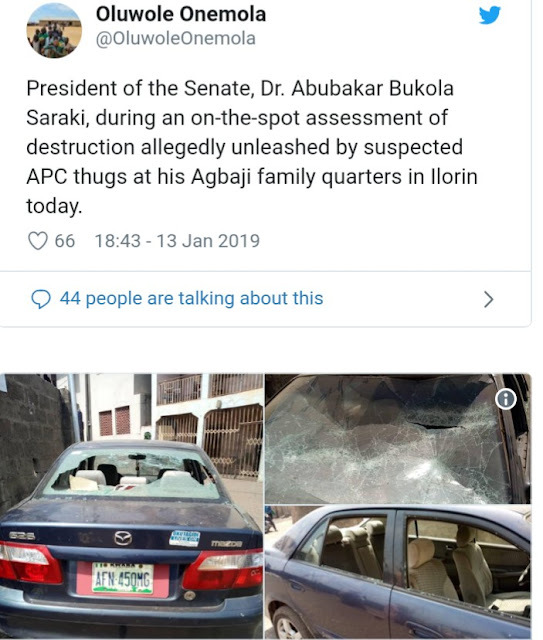 The thugs, alleged to be from the All Progressives Congress, APC, party, attacked members of PDP in the state, injuring many of them. 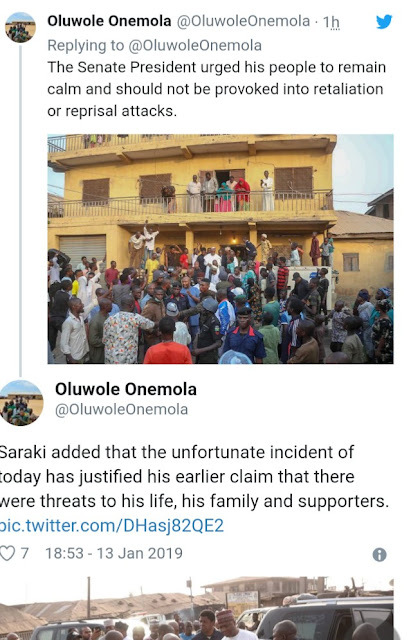 In a series of tweets, Dr. Saraki who paid a visit to the victims who are currently receiving treatments at the Ilorin General Hospital in the state, however condemned the attack, saying the upcoming election in the state does not call for bloodletting. According to Saraki, “Violence and bloodshed must have no place in our politics. 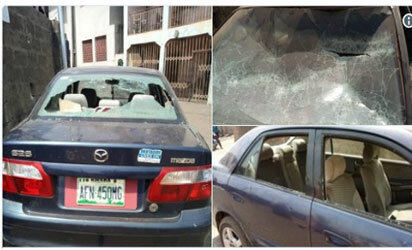 I urge all the people of Ilorin and our supporters to remain calm and not retaliate. We will continue to run an issues-based campaign across the state and the nation. 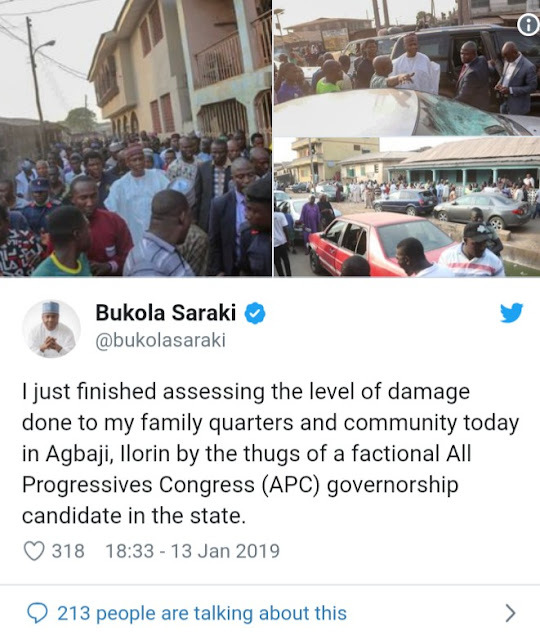 Let us all strive for peace in this election season.” Saraki who visited the affected areas and patients to assess the level of damages done however urged both his family members and the people of the state not to retaliate. “I just finished assessing the level of damage done to my family quarters and community today in Agbaji, Ilorin by the thugs of a factional All Progressives Congress (APC) governorship candidate in the state.” “I have urged my family members and all the people of Agbaji to remain calm and not be provoked into retaliation or reprisal attacks.” Also, the Governor of the state, Abdulfatah Ahmed equally condemned the attack. 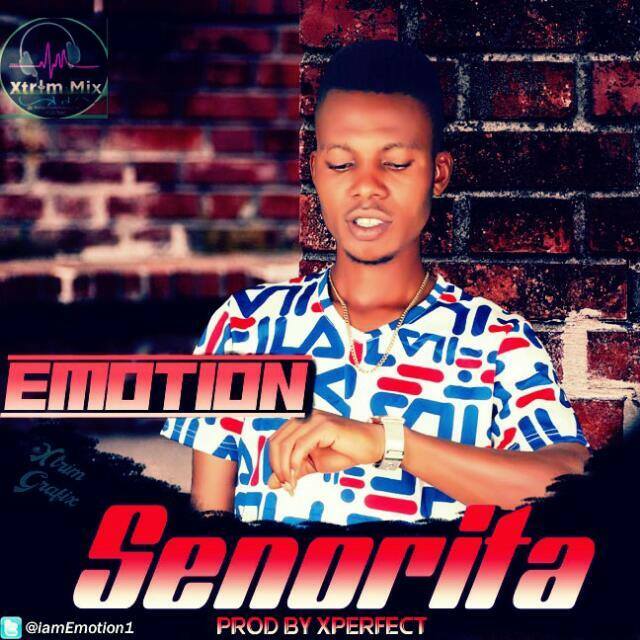 According to him, “I am disturbed by news of recent political violence in Ilorin. Campaigns should be about ideas, not violence. All concerned must avoid actions that can rupture peace of our state and threaten its security. 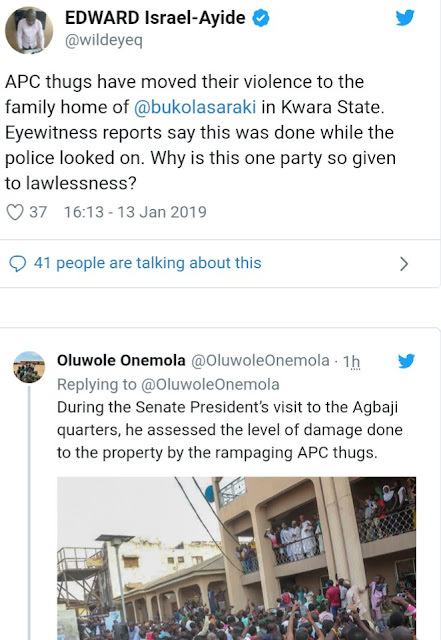 Security agents are to secure lives and property and prosecute offenders.” Also, Saraki’s Special Assistance on New Media, Oluwole Onemola, said among those affected is a retired Customs officer from Agbaji quarters in Ilorin. According to him, “President of the Senate, Dr. Abubakar Bukola Saraki, at the Ilorin General Hospital, visiting Mr. Afeez Olayeri – a retired Customs officer from Agbaji quarters in Ilorin who was among those attacked by thugs loyal to the All Progressives Congress (APC) on Thursday.” “The desperation of the APC in Kwara State is glaring. They know they are going to lose, so they set thugs to destroy cars and houses. 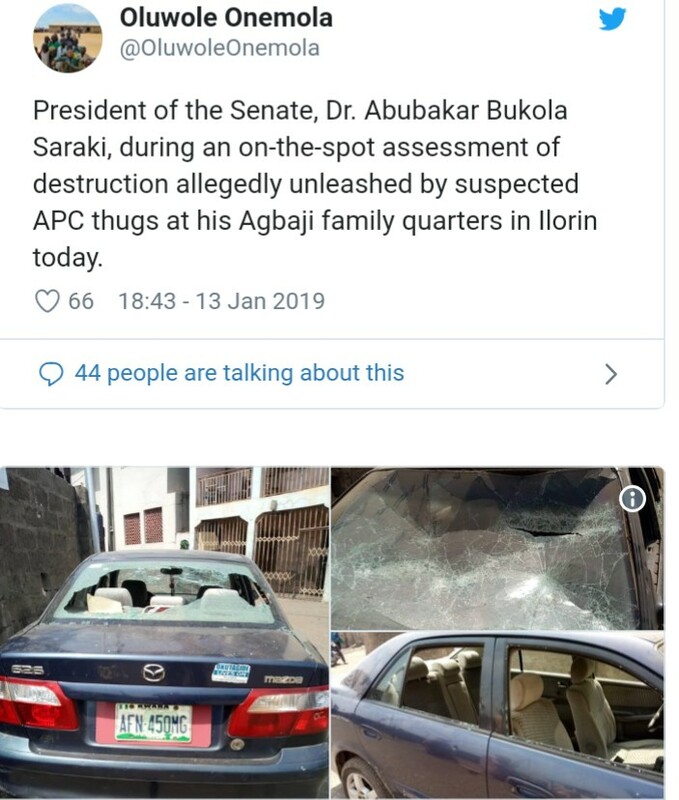 Shameful…” “President of the Senate, Dr. Abubakar Bukola Saraki, during an on-the-spot assessment of destruction allegedly unleashed by suspected APC thugs at his Agbaji family quarters in Ilorin today.” He claims over 20 cars were destroyed while two persons were shot only in Saraki’s family quarters. 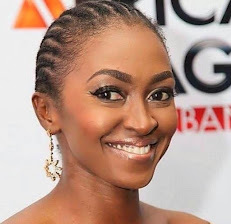 He said others families affected are Île Ottan, Sholagberu, Wopa, Olayeri, and Onilemarun families. He also said that Alfa Nda and Imam Aliagan’s cars were also destroyed.